Hello all! I am still on a stencil kick. Today I tried to do a mostly one layer card :). 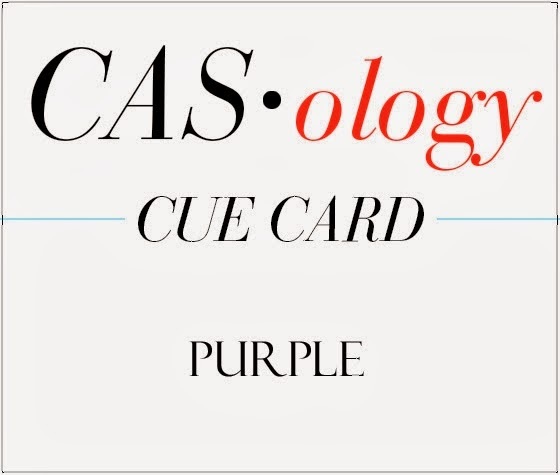 I was inspired by the challenges this week at CASE Study and CASology where this week the cue word is purple. I will attach the CASE study card below for you to see. I used a Crafter's Workshop stencil and distress inks. I pulled the flower out of my stash and added a tiny bit of bling so I had areas to hide the adhesive for attaching my vellum. Hope you like! I used 2 different types of lighting so you would see the shine of the embossing powder. 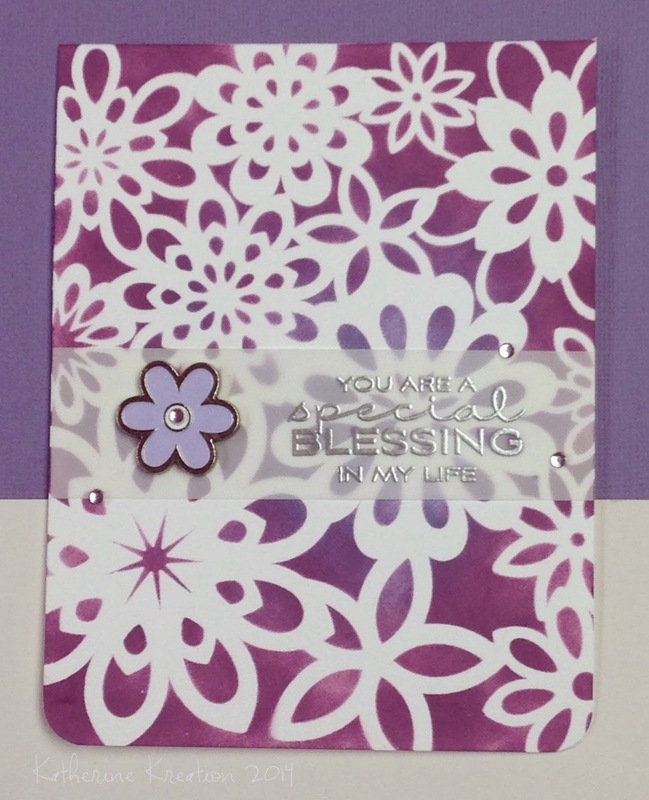 I was inspired by the bold flower and the vellum greeting! Fantastic combination of these two challenges! Love how the white looks on the purple! Thanks so much for joining us at CASology this week! 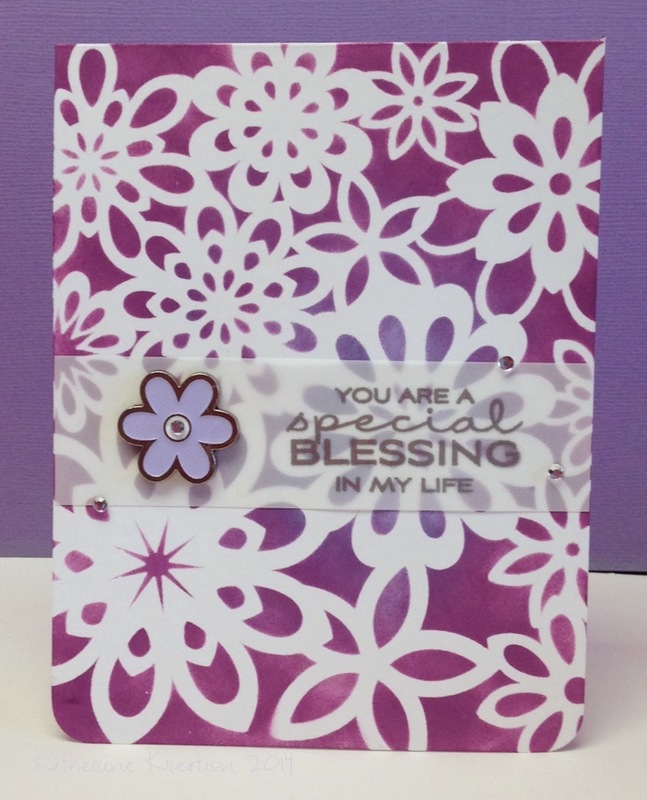 Gorgeous color and I really like the pop of your card with the sentiment and flower. 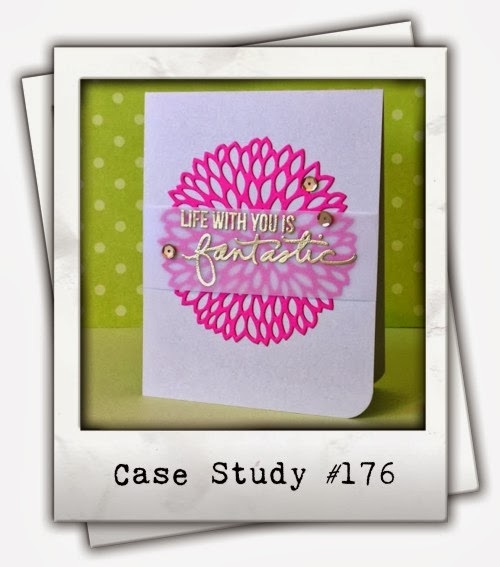 Thank you so much for sharing your inspiring creation with us at 4 Crafty Chicks Anything Goes Challenge. Have a great day! Loving the simple beauty of this gorgeous card. Thanks for joining us this week at the Sister Act Card Challenge! Hope to see you again next week! Sheena B.